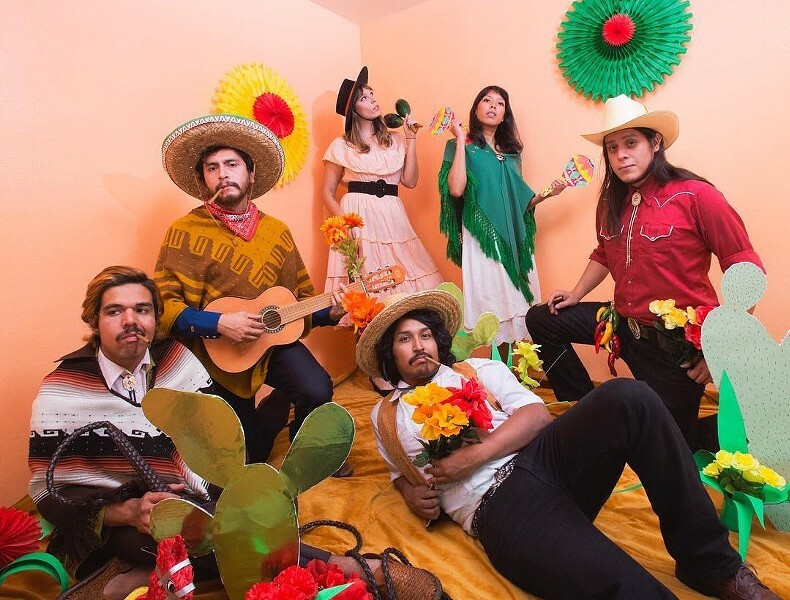 HEALING GEMS are a six-piece Latin/lounge/exotica outfit from Los Angeles with sounds that range from cha-cha, to surf, space age, and beyond. "Healing Gems have created a whole little world of their own—a high-contrast technicolor paradise inspired by a lot of exotica, a little tropicalia and plenty of mid-century-modern cartoon charm, too." - L.A. Record. With local legends Monster Women. 21 & up.